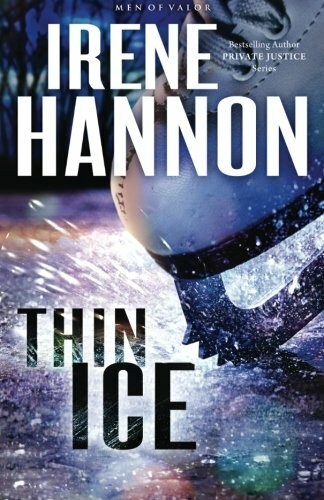 Thin Ice is a sweet romantic mystery that had me guessing until it was laid out for me. I found all of the characters easy to engage with and Irene Hannon did a fantastic job of bringing out my emotions in response to their personalities and situations. I always have a favorite character... Mevlida is beaten down, misguided, and yet brave. She stole my heart. Thin Ice is the second book in the Men of Valor series. I had not read the first book Buried Secrets. Fortunately, Thin Ice is able to stand completely on its own. I didn't feel as if there were any gaps in the story that would have required reading Buried Secrets in order to understand the story. I'm sure that Buried Secrets would be as well worth reading as Thin Ice. In closing, I must say, poor mouse! Irene Hannon is the best-selling author of more than 35 novels. Her books have been honored with the coveted RITA Award from Romance Writers of America, the HOLT Medallion, the Reviewer's Choice Award from Romantic Times BOOKreviews magazine and the Daphne du Maurier Award for mystery/suspense. Irene and her husband make their home in Missouri.